Who doesn’t love a little animal print every now and then? 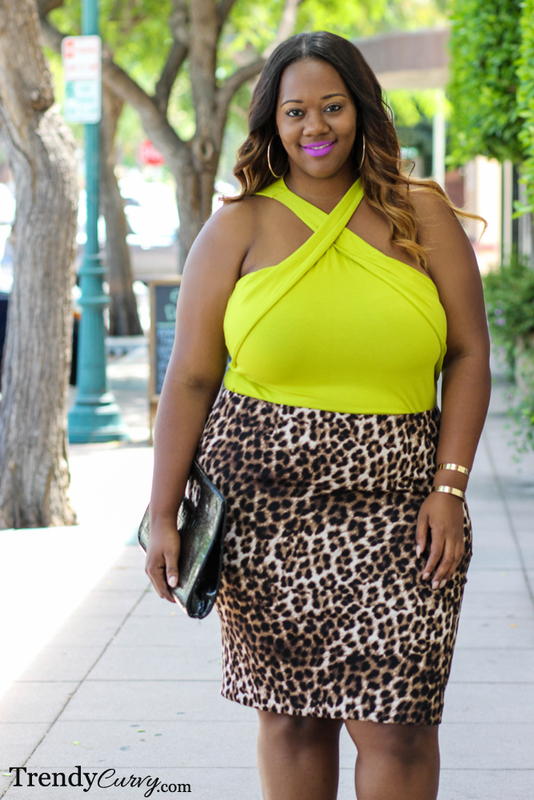 While leopard print is usually seen most in the Fall Season, there are ways to incorporate it into Spring and Summer by adding some color to the look. Now, you don’t have to go quite as bright as I did but I thought the neon was a great complement as well as contrast to the printed skirt. I love the halter criss cross detail at the top that added a cute flair. I also love that even though each of these garments are eye-catching on their own, somehow together they still work. I’m all for taking risks and this was definitely one worth taking! I’m loving the shoes! Are they comfy?